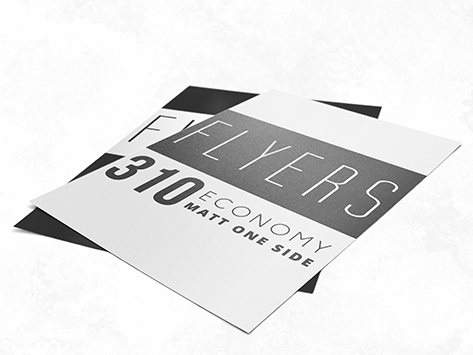 If you love the smooth and tangible finish provided by our matt celloglaze, then you’ll love this flyer on our lightweight 310gsm stock! Everyone that picks up your flyer will unconsciously run their fingertips over the flat finish, giving it an interactivity that electronic communications just can’t imitate. And that means there’s a greater chance of your message staying in the mind of your customer.